I am writing this while the Japanese countryside flicks past at nearly 300kph from a Japanese Shinkansen train, and after two weeks here, like writer Lafcardio Hearn, I have become endlessly fascinated by its sights and sounds. 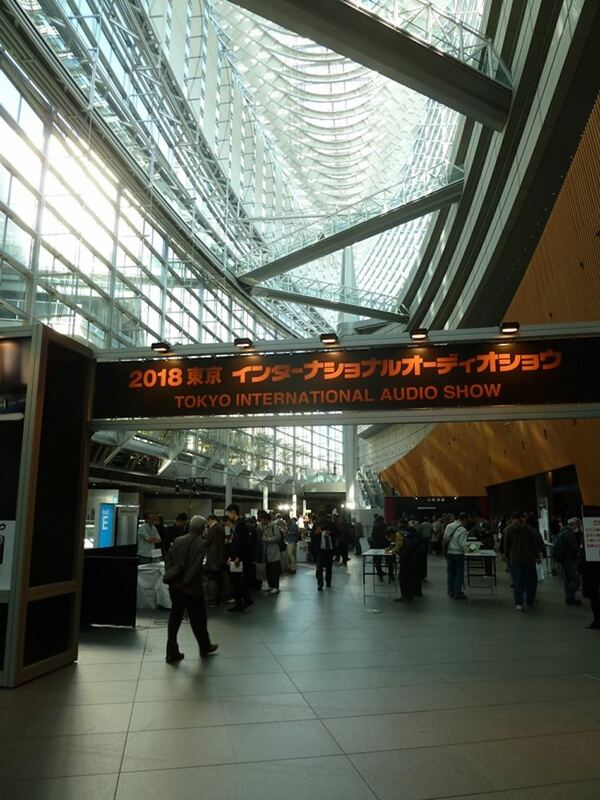 But this is more about the sounds than sights, as while I have mostly been on holiday with my wife, I have also been to the Tokyo International Audio Show and kept my ears open. I went to the show as a member of the public but I did have a strong agenda to see if I could find a Japanese distributor for my tonearm and turntable (The Wand), so you may have to excuse me in not recording the minutia of who released what new models. 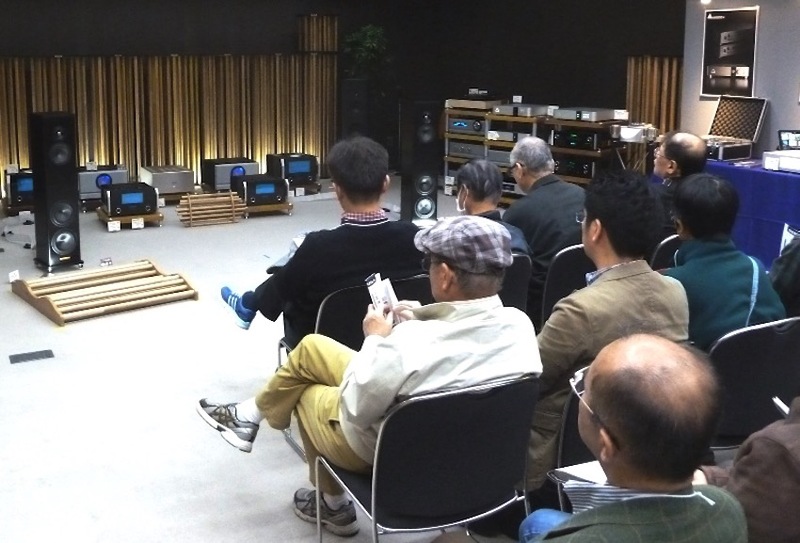 Rather this is some reflections on what I saw of the Japanese audio scene. The first point of difference from the other shows I have been to is that the Tokyo Show is not held in a hotel with all the issues of noise pollution between rooms and the eternal question as to whether to leave the door open (welcoming) or closed (better for noise). 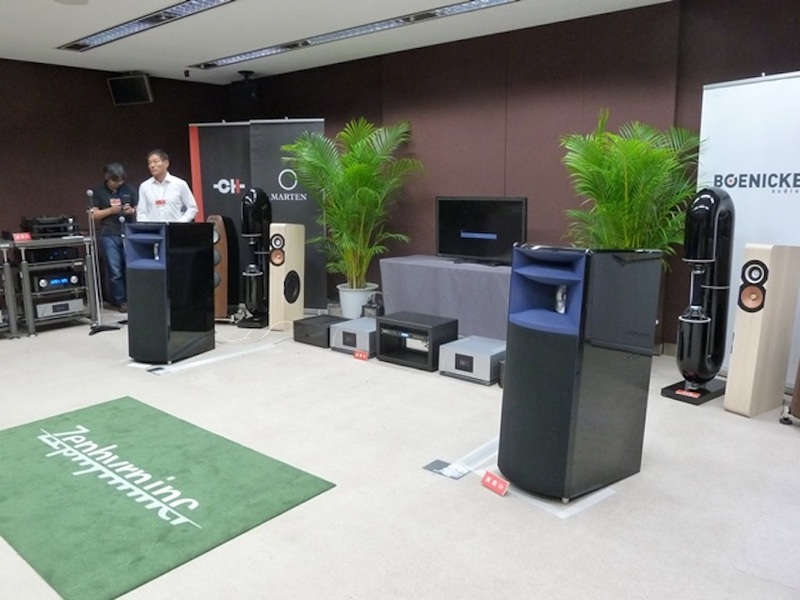 Instead it is held in the Tokyo International Forum, a dedicated conference venue with the generous sized rooms are acoustically isolated from each other to the extent of having massively thick motorised doors. The doors are shut, no questions. Many of the rooms have professional welcomers to activate the doors and provide a respectful bow as you go in. Not having a programme in English, it was hard to tell but it seemed that most of the rooms have scheduled slots where there was a 20 minute demonstration or talk by a designer, typically using the music speakers as a PA system. A good test. While the room acoustics were an order of magnitude better than most hotel rooms, room treatment was taken seriously too with about half the rooms having additional treatment. A favourite seemed to be Acoustic Groove System which consisted of parallel wooden rods to reflect sounds. As well as being placed in corners, these were often placed on the floor in front of speakers to catch the first reflections. As well as the rooms being acoustically great, the Tokyo International Forum was stunning architecturally, being a long ellipse with one of the curved walls being a glazed atrium five stories high. I am not sure if the comparatively small number of exhibitors – around 30 – was due to the constraints of the building or simply cost. All the businesses were medium to large sized, with few boutique artisan Japanese cartridge builders here. Interestingly, there were no new generation audio companies from China visible. 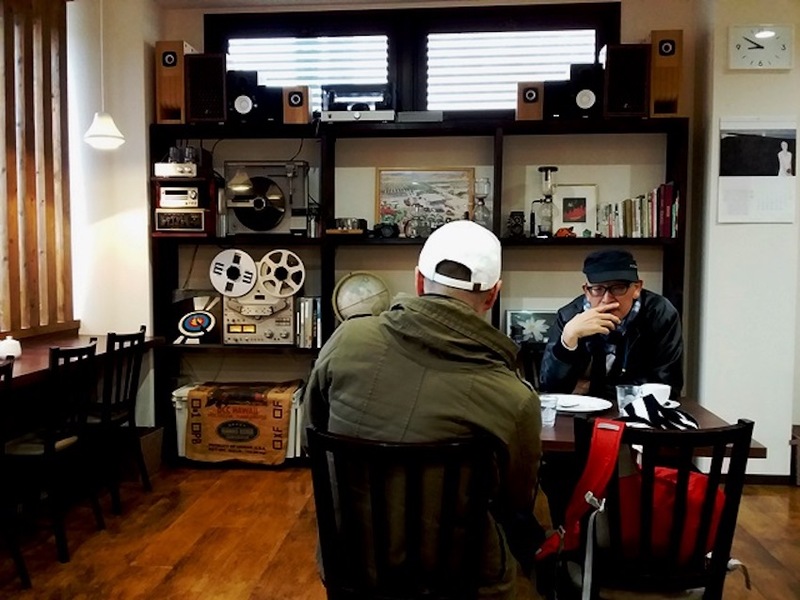 As an outsider, it appeared that the Japanese audio business may be a microcosm of Japanese society in having a clear hierarchy with a number of brands seeming to be Imperial families. Accuphase, Esoteric, TAD and Luxman were all accorded great respect, with packed rooms and hushed silence bearing witness to this. Their build quality and presentation is immaculate, but some of them had the conservative formality of a black Japanese limo taxi with lace doilies on the seats. That impression was exaggerated by the presence of the large flower arrangements not seen in NZ much outside funeral parlours. English audio ‘royalty’ appeared also much revered. Source media was predominantly digital, with SACD very much in evidence. Vinyl was noticeable but a minority, and a couple of reel to reels were in use. 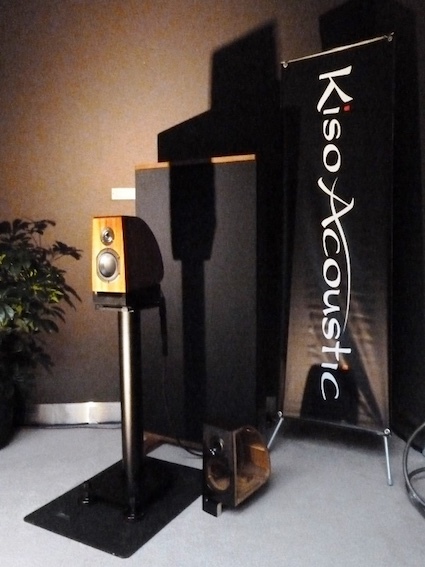 Unfortunately, the Tim de Paravicini custom-modified one wasn’t going in the EAR / Yoshino room when I visited, but he was playing a Paul Simon LP that had been mastered on it, and that sounded stunning through Chario speakers. I have seen many photos of the big Tannoy speakers and read hi-fi journalists referring to them as wardrobes but this didn’t prepare me for their sheer size. They really are the size, shape and look of a Victorian double wardrobe. The room that I had the most immediate ‘wow’ response to in terms of sound was Zephyrn, which included Ocean Way speakers. These are basically Pro speakers but their effortless dynamics and musicality caught my attention using CH Precision electronics. I didn’t ask the price. 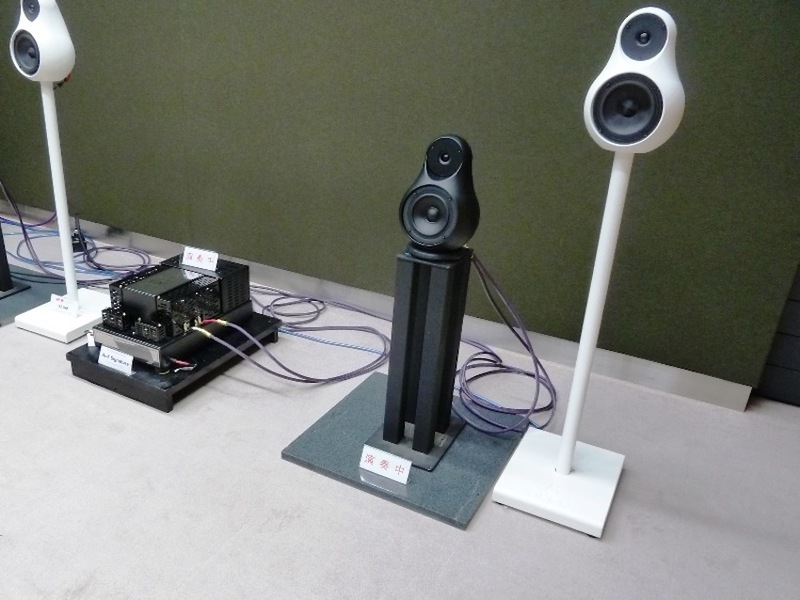 In a slightly similar vein, I was interested to hear Westlake speakers and they have a strong reputation as a US take on the BBC style monitor. Nice. One of the most interesting ‘new to me’ products was Danish, not Japanese. Jern speakers (above) are curvy Danish models intriguingly made of cast iron, a good material as it is well self-damped, especially when curved. They were giving them heaps, which made me look in vain for a subwoofer. 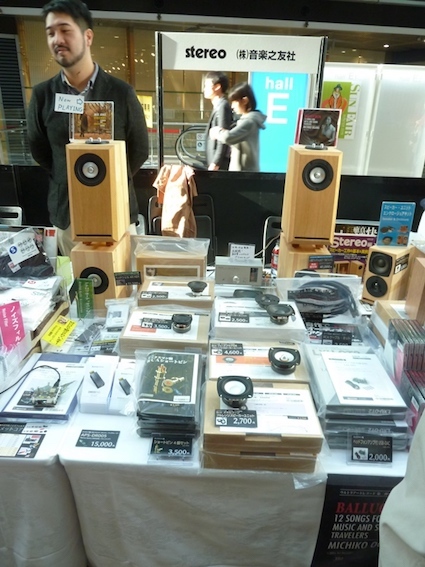 Next door there were similarly elegant and nice sounding little TAOC branded speakers, but these were Japanese, one of the small local makers I saw. 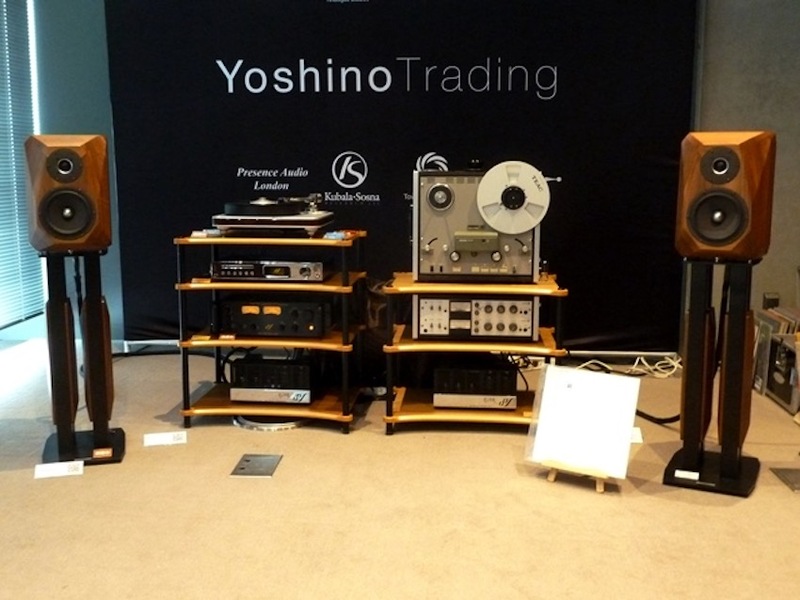 The music played at audio shows is the subject of many English-speaking forum posts. Mostly the complainants moan (often with justification) that only light rock or jazz is played with the occasional burst of percussive hi-fi jazz or prog rock. If they attended the Tokyo Show, they might have been tempted to throw themselves off the fifth floor atrium balcony, as I didn’t hear anything much more threatening than The Carpenters*. To be fair, the volume often did get cranked up seriously loud when playing classical music, which accounted for more than half of what I heard. (It’s normally less than 10 percent in most of the other shows I have been to). 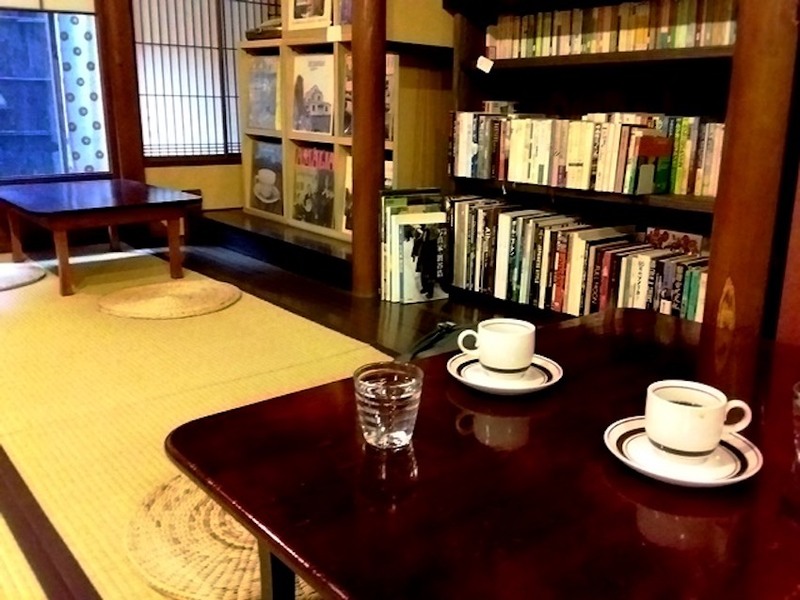 While staying in the old capital, Kyoto, we headed out from our traditional Ryokan inn in search of a good coffee – the well rated café Tohu was just round the corner. On arriving I was greeted by a minimalist modern space that had one wall covered in audio gear, a reel to reel was playing and the coffee by definition was good! The wall included five pairs of speakers, some I assume built by the owner. The outer two looked like Fostex drivers in kitset cabinets. At the show I hadn’t been able to get into the Fostex room initially as it was so crowded (I have Fostex driver-based speakers). 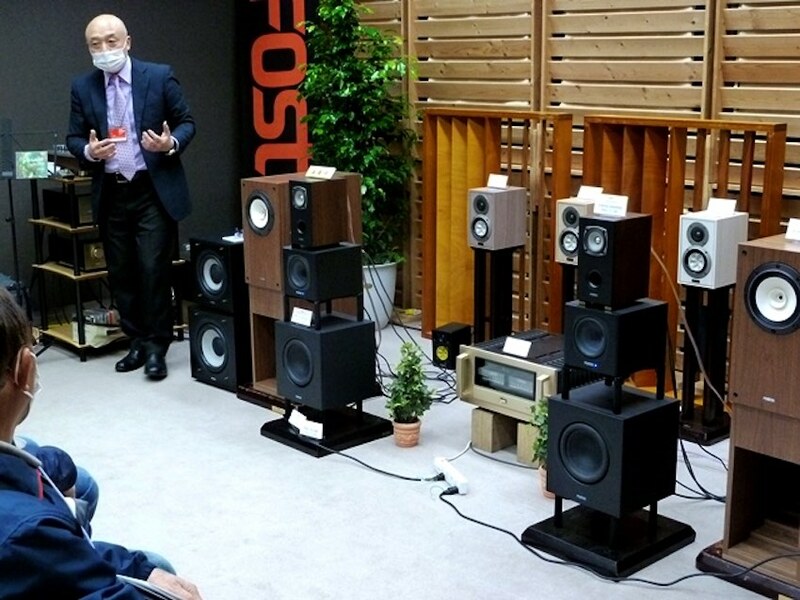 So speaker DIY is reasonably active in Japan, in part because of the presence of ‘glue together’ kitsets. As well as the choice of which single origin beans you want, there is the choice of extraction method and size, making it very complex. Despite my choice of coffee being by a random finger stab, the delight of the Hifi Coffee House was kneeling on Tatami mats in what was probably the owner’s lounge. We were surrounded by LPs and dusty books, ’60s jazz classics playing, city oasis Japanese garden outside. Cool! *I was forced to admit that The Carpenters did sound stunning played on the new Technics SP1000R turntable in the Technics room. I felt their new slogan of “Rediscovering Music” was probably as much an internal memo.